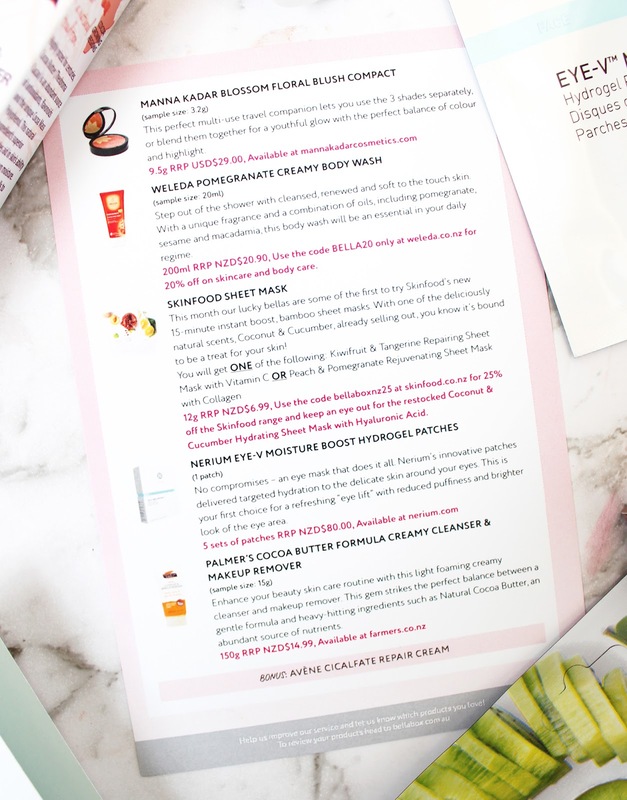 The July Bellabox NZ* has landed and is appropriately themed 'Global Glamour'. It seems like everyone is away in Europe or somewhere fabulous at the moment, so this box is dedicated to some travel essentials to keep you looking and feeling fresh after a long haul flight. 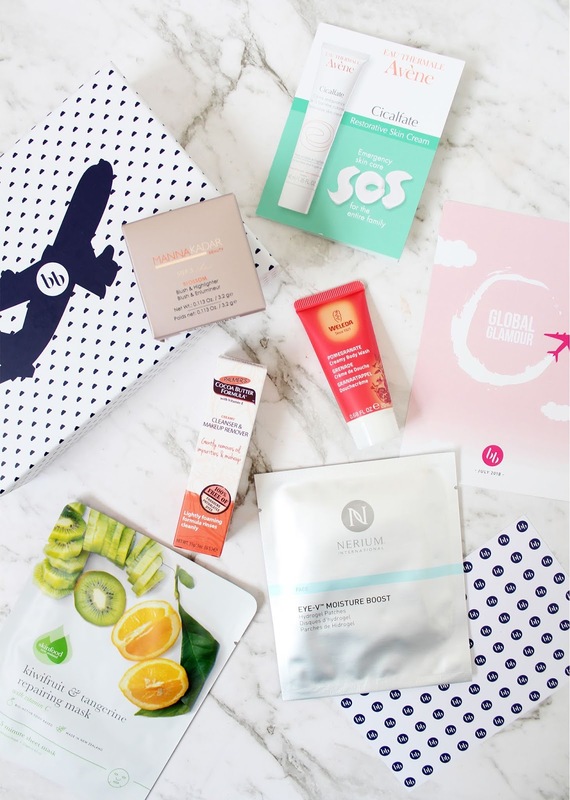 The July box came with 6 products; 2 full sized items, 3 deluxe sample sizes, and 1 foil sachet sample. There's a good mix of different products from a selection of brands I know and a couple that are new to me. This is a little mini size at 3.2g but it is just enough to really get to try the product. It says you can use the three shades of highlighter, bronzer and blush separately but in this small pan that is near impossible. Swirled together though this gives a subtle golden sheen. I love the pattern on the product, but the outer packaging is quite cheap and plasticky. 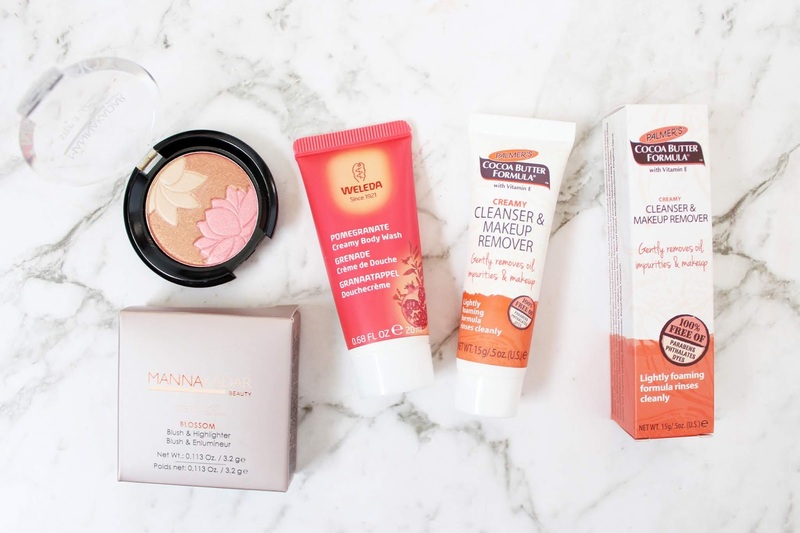 Weleda is a brand I have only tried a few products from but always hear good things about this natural brand. This is a 20ml sample of the body wash so it will give you a couple of uses, perfect if you are going overnight somewhere or are away for a couple of days. The scent of this is so nice and it contains pomegranate, sesame and macadamia oils. 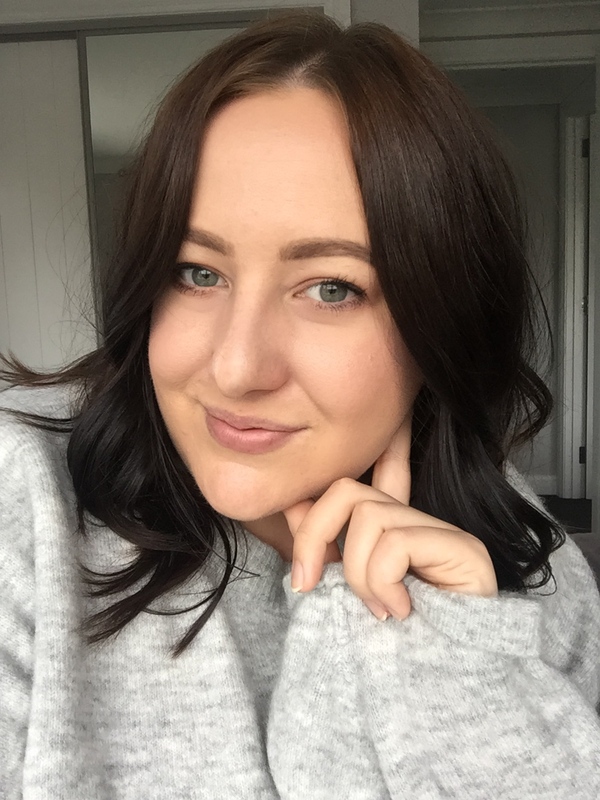 I've used a few products from the Palmer's skincare line and really enjoyed them (particularly their Coconut Cleansing Oil/Butter), so this one is promising. I find these are the perfect size to take away and I am constantly using products of this size when I travel. This is a light foaming cleanser to help remove dirt and cleanse the skin. I am looking forward to trying this one out. This is a new brand for me, but I love a good under eye gel mask so these sound amazing. I know these would be ideal after a long flight, a bad sleep, or a bad hangover! These should help to depuff, hydrate and brighten the undereye area. At $16 for just one set, these are certainly pricey so I hope they do something magical! These bamboo sheet masks are a brand new addition to the Skinfood line up. 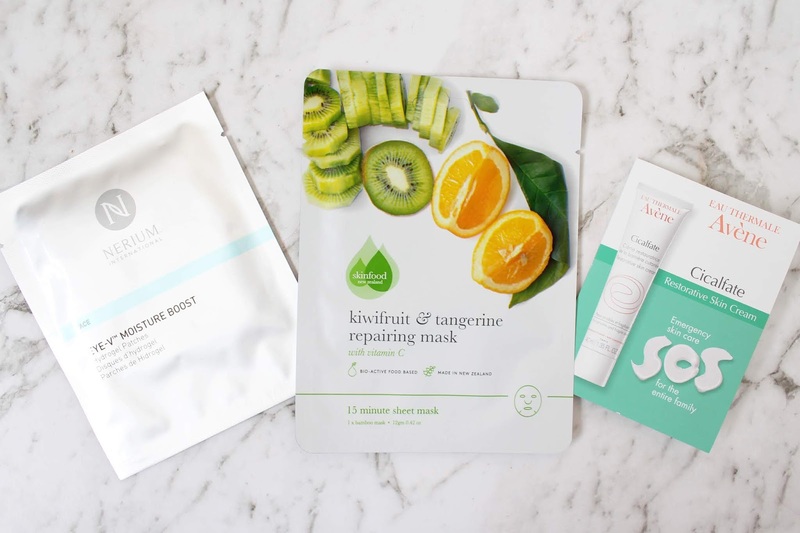 Sheet masks are definitely having a moment right now, and although I was a sceptic, I have been slowing getting into using them more and am starting to really enjoy them. I really look forward to trying this and imagine how nice it would be to use on a flight. The final product is a one-use foil sachet of the Aveen Cicalfate Repair Cream - I used this on my elbows and knees where my skin gets pretty dry and this instantly made it look better and more hydrated. The July box came out at a value of approx. NZD $37 which is one of the lower ones I have received. But in saying that, you do get more than what you actually pay at NZD $24.95 for the box and shipping. I know these are all products I will actually use and are from reputable brands. There is still time to get the July box if these products look like something you'd like to try at bellabox.co.nz. What do you think of the Global Glamour Box?